It is easy to pick up a magazine and read an article about church growth, evangelism explosion or community outreach. It is equally easy to attempt to implement or copy another leader’s vision and experience less than desirable results. That is not to say there is not much each of us can gain from hearing and learning from one another. The danger comes when the vision we attempt to implement does not come from our own praying and fasting. Each community faces unique cultural situations and needs, and if we fail to understand this we are destined for failure from the beginning. America is a melting pot of various ethnicities and cultures. This used to only apply to the largest of our cities. However, the melting pot is quickly spilling over into even the smaller cities and towns. The label “indigenous church planter,” which used to apply specifically to church planters in foreign countries, now has an important and necessary application across our country. Our communities need church planters who understand the local nuances and customs. Church planters should never attempt to just copy a pattern which is successful in another community they have read about. Instead, these local believers need to get a vision from the Lord for reaching their particular melting pot. 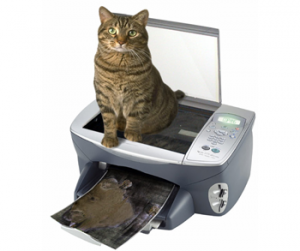 Here are some simple tips to help avoid copy cat failure. Read all you can – Evaluating and learning from other successful models can be helpful. The Lord may implement ‘some’ or ‘none’ of what you read. Due diligence in research is our first step. Spend time praying and fasting – Labor in prayer with the burden you have. Use this time to die to self glory, selfish ambition, vanity and pride. These are all vision killers! After this, expect the Lord to speak clearly. 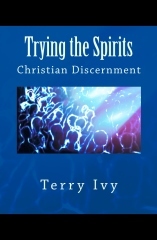 Do not move out until you have clear direction from the Lord – We may not have the whole package before we move out, but we should know with certainty, from the Holy Spirit’s guidance, the clear steps to begin implementing the vision. Bounce the vision off those familiar with community to be reached – Those who know the community thoroughly will have an important feel for the pulse of the people of the community. This is where an indigenous planter is a huge advantage. Recruit prayer warriors for the battle ahead – Have prayer support undergirding the work for each step. Prayer warriors from within and without the target culture are important. Stay flexible ‘within’ the vision – Working out the vision from prayer to paper to people will require wise flexibility and agility from within the core of the vision. The Lord fulfills visions in unique and surprising ways at times. Do it! – After desire, prayer, vision, counsel, clarity and preparation, step out in faith with the vision God has given and act on it. After all, everything is pointing to this! There is no short cut to getting a genuine vision from the Lord to reach our communities. Without a vision people are perishing. If there has ever been a time to get a vision for outreach to our local areas it is now! The number of believers in America has been shrinking for decades. Continuing the same old worn out methods are failing. Therefore, don’t copy….get a vision!